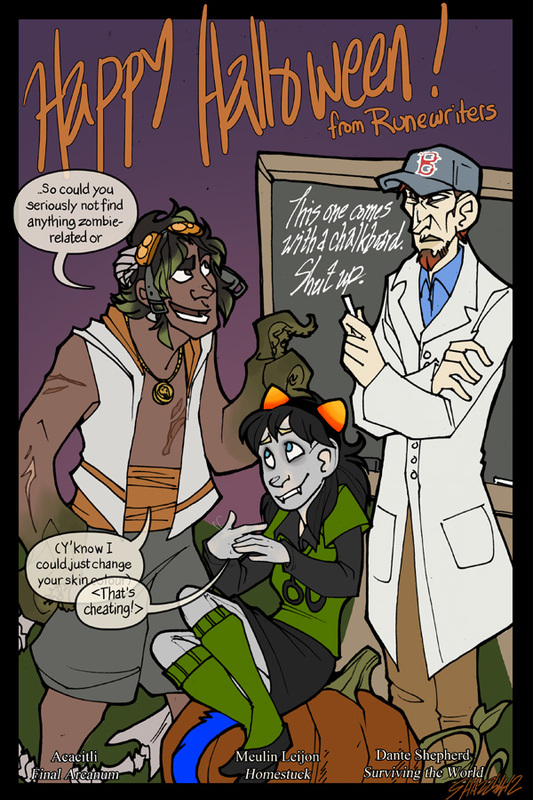 I thought themes would be fun, so this Halloween the costume theme is Webcomics! I'm pretty sure Acacitli and Severian are actually the same person. UM Homestuck has a super-adorable deaf girl as well, I'm not sure how I could resist this. I am going to admit that I first started reading StW because I was way too amused that Dante kind of looked like a much younger/less-haggard version of Jonan. But then it was entertaining, so I kept reading.